The U.S. makes the legal decision to move the U.S. embassy in Israel from Tel Aviv to Jerusalem and Gaza explodes. But everything is not as it seems and reality is likely not what you've heard. 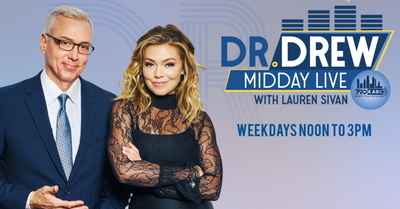 Matthew RJ Brodsky joins Dr. Drew Pinsky and Lauren Sivan on KABC Radio "Midday Live" to discuss the U.S. embassy move and the Hamas-planned Gaza riots that most mainstream media believe are a grassroots protest movement. Brodsky gives a quick history lesson, provides the context, and explains what is driving the overreaction in Gaza, the West Bank, and the international community -- all in just under 15 minutes.